A good business plan must be concise, compelling, and conversational while remaining professional. The best metaphor for a good business plan is a novel. You must grab the reader’s attention in the first paragraph, intrigue him in the first couple of pages, and then tell a persuasive story that tells tales of great deeds. It’s not about reciting facts. It’s not an academic tome with lots of references. It’s not an advertisement. It’s a story. In the end, the investor shouldn’t be thinking, “Those guys really have their facts straight. It’s a viable technology, and they seem pretty smart.” They should be thinking, “Wow! I want to be part of this adventure!” A good business plan includes the same information, but you tell the story instead of presenting the data. Like a novel, a good business plan is conversational and engaging. To that end, use active voice, not passive voice. Say “I” and “we,” not “the Company.” Give me a break. You don’t have 2,000 employees. You’re a small group of entrepreneurs. That’s going to engage the investor much more than “the Company” nonsense. Be yourself. Okay, let’s start with the first all-important paragraph. As an investor, I want to know what your product/service is, what the market is, and why you will succeed. As a consultant, I’ve read far too many business plans where I didn’t understand what the product was until I got to the Product Description section of the plan (sometimes not even then). As a consultant, I get paid to read that far. Trust me, investors won’t. Think of the first paragraph as a summary of the Executive Summary. This is where the concise part comes in. It’s not trivial to get all this information into one short paragraph and still make it interesting. Concise and compelling. Those are all important watchwords, especially for the first paragraph. How do you do that? Iterate. I like to write my first iteration of the Executive Summary as more of an outline of how I want to organize the plan than a real Executive Summary. Then I write the plan. I don’t try to get it all right the first time. I often just include a couple of paragraphs and web addresses in the Market Analysis and Competitor Analysis sections, telling me where to get the research when I’m doing the next iteration. The first iteration is mostly about getting your arms around the project. Don’t even try to do a first draft of the Financial Discussion, because you haven’t put together your financial model yet. Next, rewrite the Executive Summary to look more like an Executive Summary. Identify each paragraph, either with a heading or boldfacing the first couple words so the investor always knows what he’s about to read. Then, reread the Executive Summary you’ve written to see if the order of the paragraphs flows smoothly. That is, does the order tell a story or merely present information? There’s a big difference. Now you can reorganize and rewrite the plan. Fill in the gaps that you deliberately left out of the first iteration. Insert some graphics and pictures. Don’t try to make it perfect yet, but it should be starting to look good. Again, don’t worry about the Financial Discussion. We’ll get to that soon. The Merry Go Round is still going around. Now that you’ve done the research and fleshed out the meat of the plan, you can do a much better job of rewriting the Executive Summary. So do that. Then reread it, looking for the same qualities of flow, of storytelling. It’s a lot easier to get the order right in the Executive Summary and then reorder the plan. Now let’s get down to it. Your Executive Summary should be looking pretty darn good at this point. Rewrite the plan again, paying attention to your writing style, punctuation, spelling, and syntax. Neatness counts. Nothing turns off an investor like a plan written as though English is not your native language, even if it’s not. 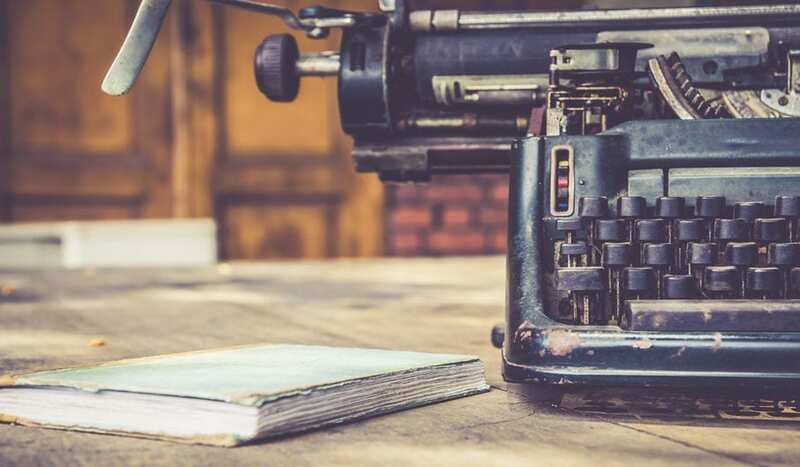 All good novelists have editors who add tremendous value by polishing the book, improving clarity, and identifying those pesky spelling and punctuation errors. Find someone who knows something about your product and marketplace and persuade them to read the plan and give you honest feedback. This is important. You know your product and market so well that it’s easy to make invalid assumptions about the reader’s knowledge level. There is a reason why programmers generally don’t test their software. They can’t do a very good job at it because they are so immersed in it that they can’t see test cases that are obvious to an outsider. For some insight into avoiding common business plan errors, read Why Business Plans Don’t Get Funded. Another good article about the steps to preparing a good business plan is 7 Steps to a Perfectly Written Business Plan. Develop a sound financial model. Play what-if until you’ve got a believable, defensible set of pro formas. You can be doing this in tandem with the final rewrite. Use the same iterative process in writing the Financial Discussion. Review your model in relation to our criteria for a good financial model. Draft the Executive Summary as an outline of the plan. Just a couple of sentences for each section of the plan. Write a very rough draft of the plan. Don’t be afraid to leave holes or placeholders. Just get your arms around the project. Rewrite and reorganize the Executive Summary. Rewrite the plan, filling in the gaps and reorganizing per the changes you made to the Executive Summary. Edit and polish the plan. Get feedback. Hopefully, get someone to edit the text for style, punctuation, spelling, and syntax. Now that you’ve got a very clear idea of your business model, develop a financial model. Play what-if (in sophisticated circles, we call that scenario analysis). Incorporate some key assumptions and graphs from the financial model into the Financial Discussion and the Executive Summary. That’s how you catch the brass ring. Rick has over 25 years of experience, serving as CFO of or consultant to high-growth companies in the oil & gas, renewable energy and energy storage, software and SaaS, IoT, and entertainment industries. He is an expert in developing sophisticated engineering and financial models, including models for gas turbine power plants at Southern California Gas, 250 MW wind turbines, multi-gigawatt wind farms, solar farms, oil refineries, and offshore drilling platforms. Rick received his MBA from the University of Southern California and undergraduate degree from Cornell University. View details.